Magic Kingdom Attraction Guide – Casey Jr. This attraction, while it says “Water Rides” on the Disney website, is more of a walk-through attraction. Accessible from many vantage points, it’s a great way to keep walking towards your next destination while still getting some good, cool water on your skin and clothes to cool you down. 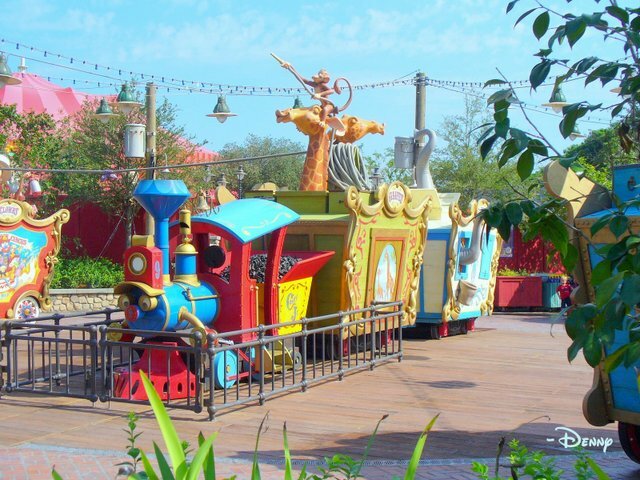 Of course, Casey Jr. is the train from the movie Dumbo, so it makes perfect sense that the Walt Disney Imagineers envisioned this in the area right near Dumbo. While anyone can enjoy the cooling water, more often than not you are going to see younger kids there with their parents nearby — but safely away from the water jets. In addition to Casey Jr., you’ve also got the clown car, the elephant car, and the giraffe car, all designed to give you a cooling mist, soaking water spray, and everything in between. If you have young ones, I imagine that Casey Jr. is right up your alley! Let me know your thoughts in the comments, and thanks!